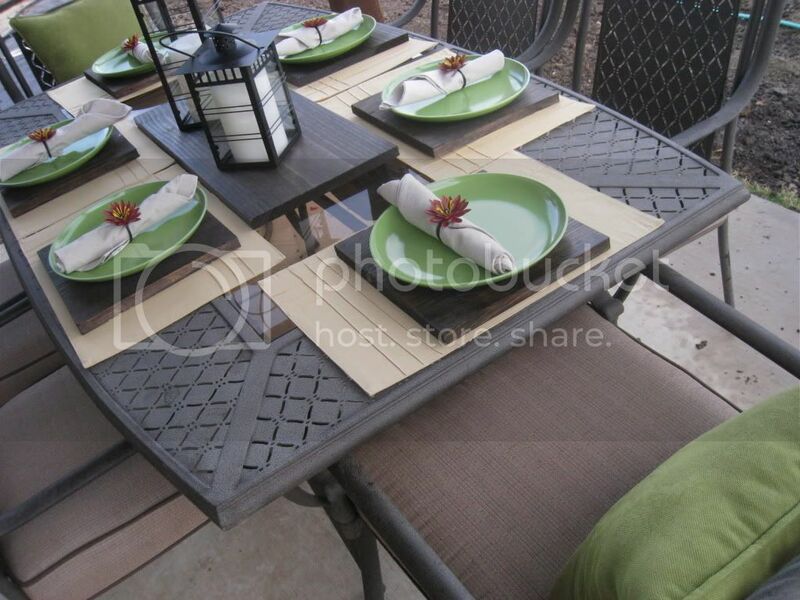 My first plan of action was to create an outdoor dining area. We love ourselves some cook-outs! We purchased a patio set last summer but I never did anything decorative with it. I love the look of chargers for a tablescape but the price tag on most of them busts my wallet, especially for outdoor dining! I had a vision and I went with it! I picked some 1 x 12's from my scrap pile and got to work! and followed up with 1 coat of Minwax Polycrylic. Seriously, that was it! Very little time and they were FREE! I also cut one 1 x 12 at 24" for a centerpiece and I love how it shows off my citronella lanterns! I am so in love with these chargers! I love the natural look of them and I LOVE that I can use them for inside dining as well! Now, I'm off to set up my inside dining table! 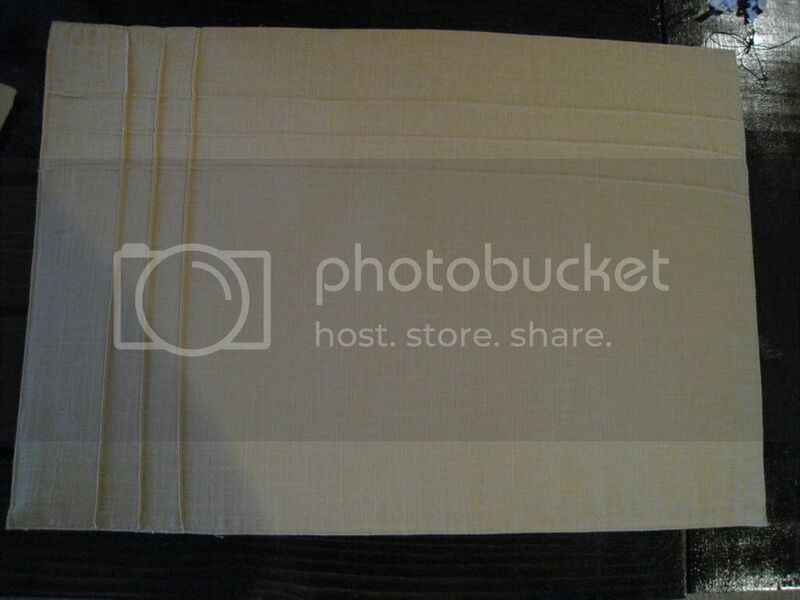 This is a Sponsored post written by me on behalf of Pier 1 for SocialSpark. All opinions are 100% mine. 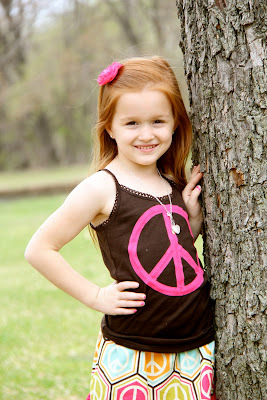 I just had a super fun experience at Pier 1 in Southlake, Texas! The employee's there were more than helpful and made my shopping experience very enjoyable and easy. 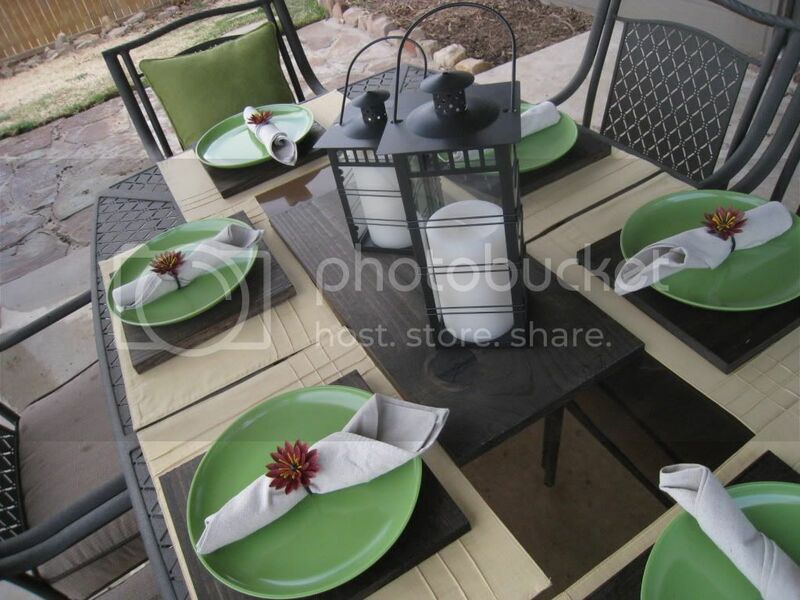 I went with outdoor dining in mind for this spring and I came away with so many goodies! 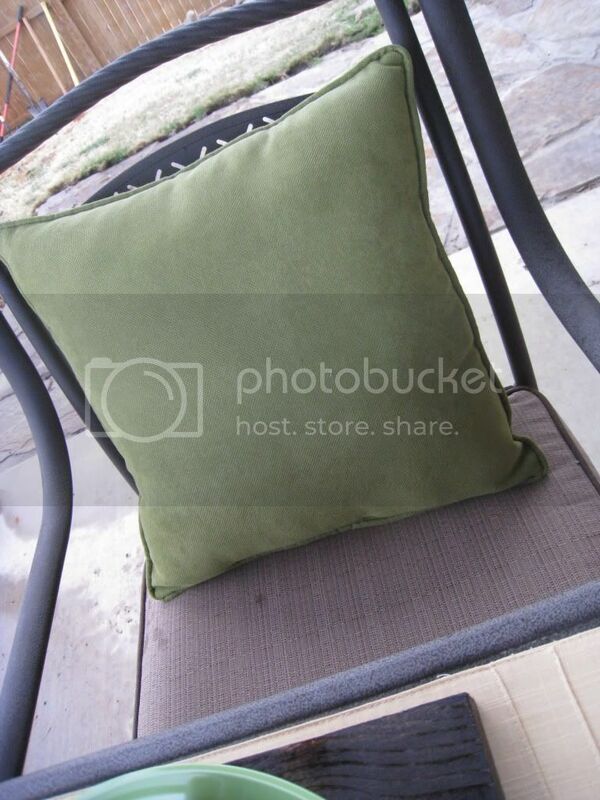 I started with two great Indoor/Outdoor pillows. 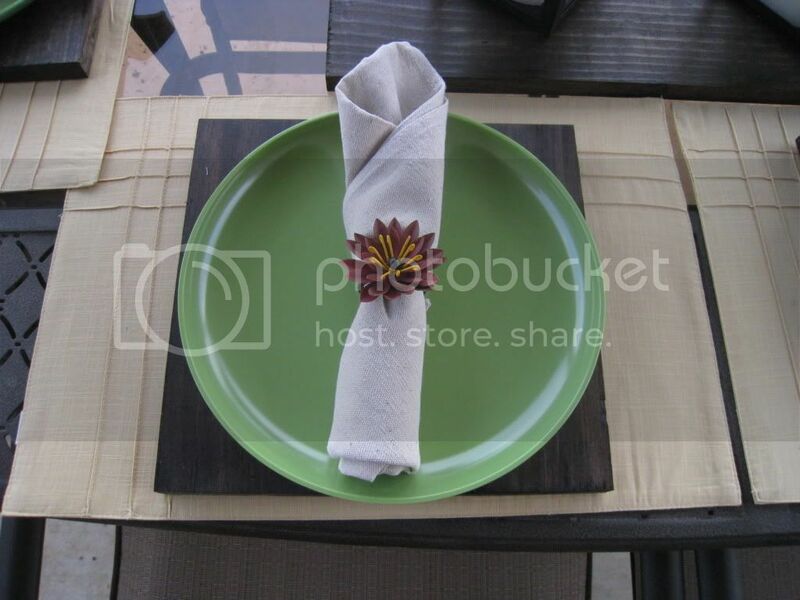 I found these great, pale yellow place mats that I thought complimented the green pillows. The napkin rings were so fun to shop for! They have a ton of super cute napkin rings at very affordable prices! 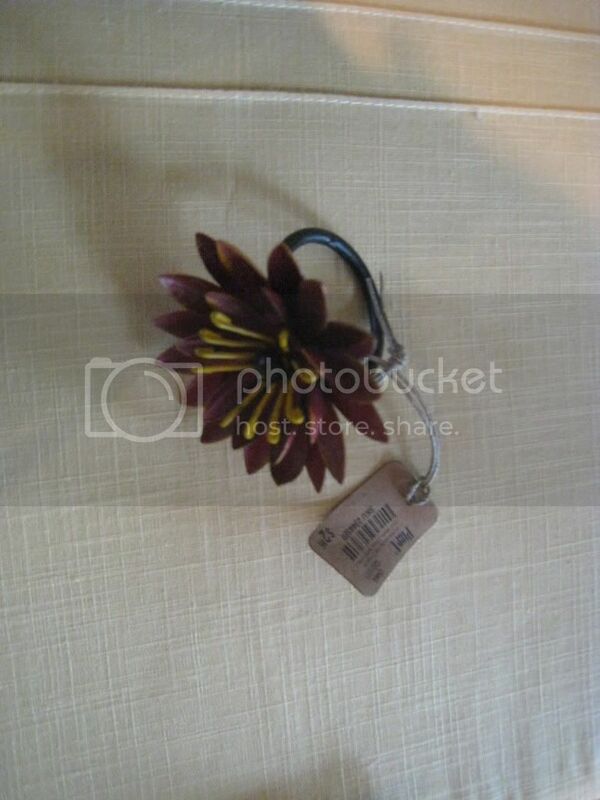 I went with these pretty rust colored flowers. 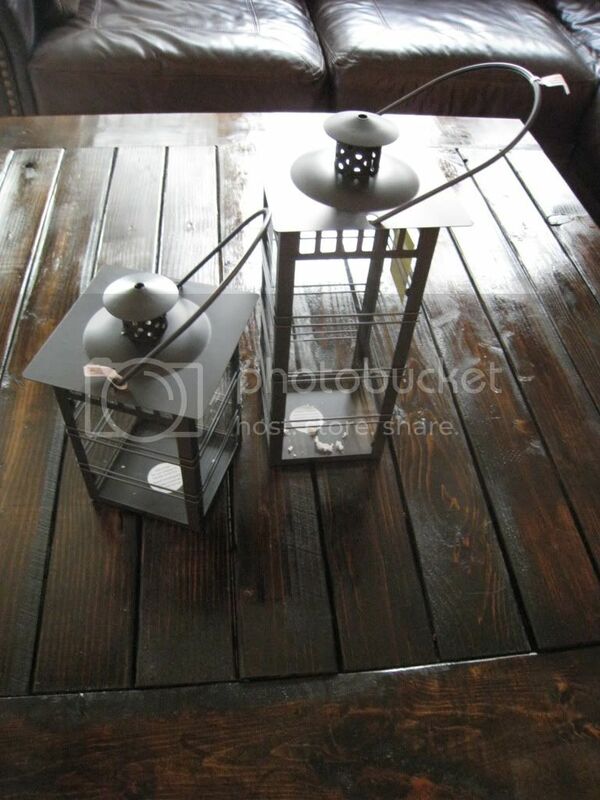 The final pieces I picked up to complete my spring dining look were these beautiful Garden Lanterns! I thought these would make a perfect center piece and I could use citronella candles to keep the bugs away! After a quick and easy check-out, I couldn't wait to get these home and on my patio table! The napkin rings are the perfect touch for spring dining! I love that they are so versatile and can be used for inside dining as well! 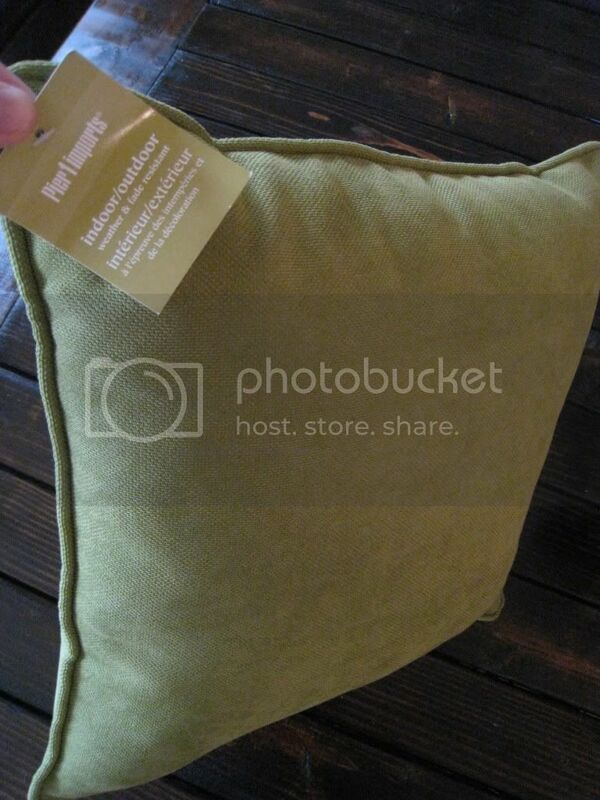 These indoor/outdoor pillows are perfect! These are heavy enough to withstand the high march winds and they are soft enough for inside! The Garden Lanterns are my favorite final touch! I love that they are decorative and functional at the same time! We are all set for our first spring party and I spent right under $100! I chose items that I could use inside and outside to get the most for my money. 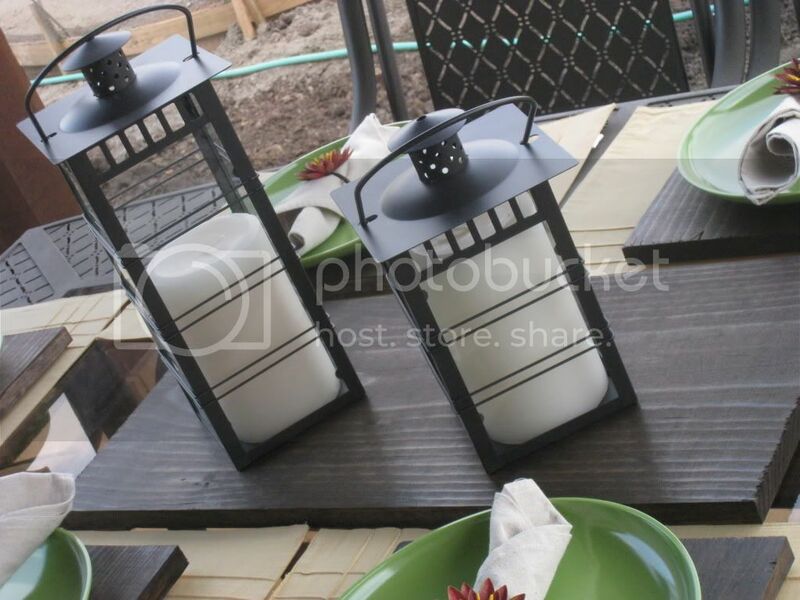 These items are very durable and the quality verses the price is outstanding, not to mention how beautiful my patio table looks now! I'm ready to show it off! March 20th is the first official day of spring! 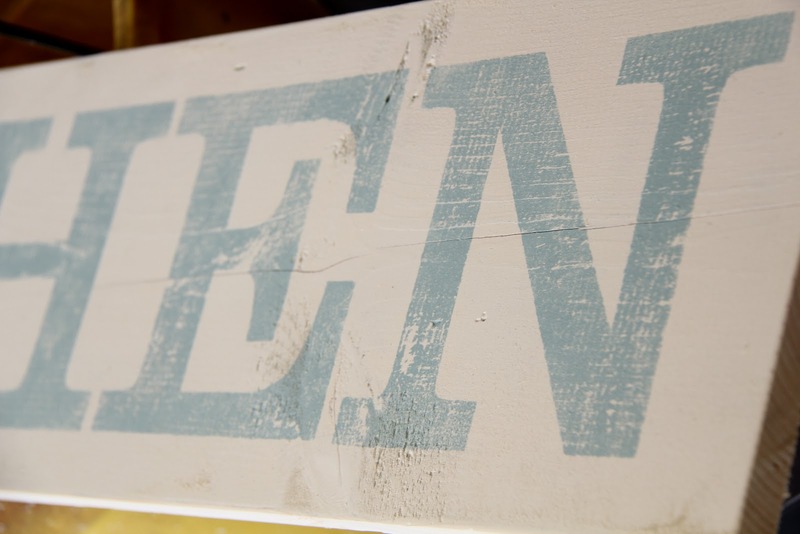 Head on over to Pier 1 and get started on decorating your patio! 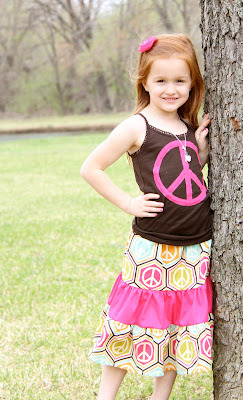 Don't forget to visit www.pier1.com/outdoor to sign up for a special in-store offer now through March 20! Join other bloggers and tweeters for the upcoming Pier 1 Tweet Ups! Want to win a $500 shopping spree to Pier 1? Follow the link for the contest rules and information! Hey guys!! We celebrated my daughter's birthday today. When I saw the fabric interfacing out from Silhouette I thought this would be the perfect time to try this stuff out! 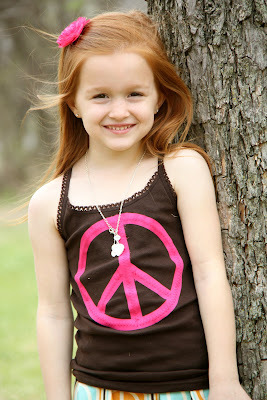 I wanted to make her a shirt to wear to her birthday party. I am a sucker for fabric. I walked into JoAnn's to get only fabric for the shirt and walked out with enough to make a matching skirt... Ahhh. Addicting. All you have to do is iron your transfer material onto your fabric. This takes just a few seconds. You stick your fabric on your cutting mat and run it through the machine. The settings come on the instructions. Super easy! Once you are done you start pulling away the excess fabric. And your design peels right off! Whoop! I finished it up and got a few more pictures of her before the fam came over. Fun, Fun. Hope you like it!! This month's promo is great! For those of you that have the Silhouette and want to try out this great interfacing you can use the code SHANTY to receive 25% off all interfacing! This promo starts the 21st and is good only through the 27th!! Hope you get to take advantage of that and let me know if you have any questions!! 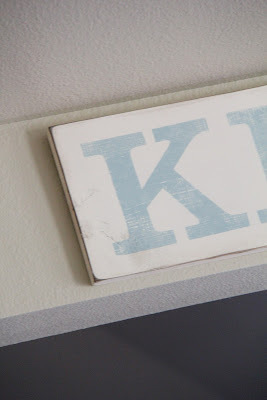 After distressing all my letters my sign looked a bit like this. I then took an 80 grit sanding block to all my edges like this. Once I finished that, I added a line of dark walnut stain around the raw edges and wiped off my excess with an old cloth. It's a perfect touch to make it look just a bit older. My final step was adding a sawtooth hanger to the back of the board and putting it on the wall. Hope you like it! It was a great piece to break up that big blank space I think. We will start this month's Shanty Silhouette sale on the 21st. I will be back before then to show you a great new product. Thanks so much for stopping by!! Hey guys! 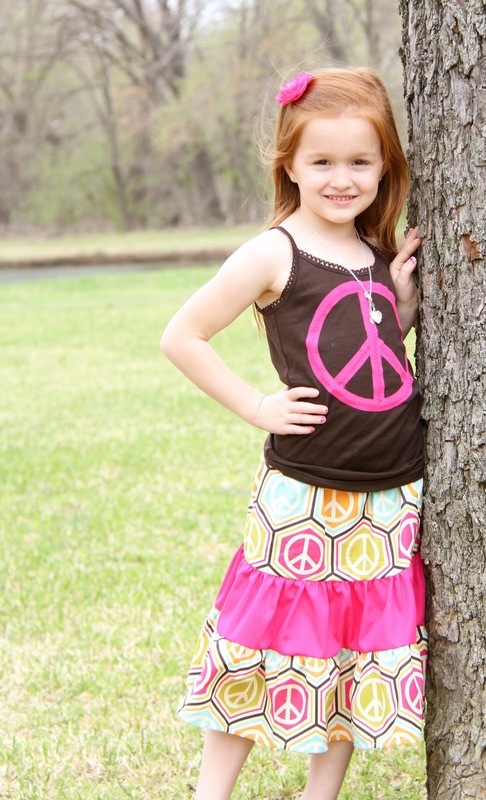 I am loving this spring weather we've been blessed with in Texas this week! Perfect building weather:) I finished the storage bins for the full sized storage bed I build last week. I designed my own plans for these. My goal was to achieve the most amount of storage space with the least out of pocket! I started with two 8ft. sheets of 1/4" plywood. I had the guys at Home Depot rip each sheet at 10.5" x 8'. I also purchased two 1 x 10's. (You can have them cut the rest of the measurements but I just used my miter at home). These are the 1 x 10 faces. and followed up with my Ryobi battery-powered nailer. I used 1/4" plywood to make the entire crate to maximize the storage space. Here is where the 1x 10's come in. For aesthetic reasons I did not want to use the plywood for the face of the crates so I used a ton of Gorilla Glue Wood Glue to attache the 1 x 10 to the front of the crate. No nailing needed! After building 5 more crates it was time to stain! I stained the storage bed with Minwax Dark Walnut and I wanted a contrast for the crates. I went with my gut and purchased Minwax Special Walnut and applied one coat to the face of each crate. I followed up with one coat of Minwax Polycrylic in Clear Gloss. I purchased this rope at Wal-Mart for $4.97 and it was more than enough! I found this big ol' drill bit in my hubby's tool box and it was the perfect size for the rope! Next I measured where I needed to drill for the handles. On the 4 side crates I marked at 19 3/4" and 9 3/4". On the short end crates I marked at 16 3/4" and 8 3/4". I placed the marks 6.5" from the bottom of the crates. and then cut 6 pieces of rope at 28". and I followed up with the other side. I purchased these felt pads at Wal-Mart for $4.97. These are easy, just pull off of the sheets and stick to the bottom of the crates. I put four on each crate. I purchased the bedding at Wal-Mart, on clearance, for $10 marked down from $39! The throw pillow was $1 down from $10! I am going to build a headboard for this next and I have changed my mind on the one I am going to build. 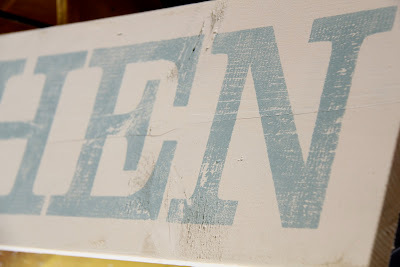 I fell in love with the Reclaimed Wood Headboard on Ana's site! Hope you all have a great Spring Break with your families!